Red Creek is once again offering the Basics in Wildlife Rehabilitation Series in the fall of 2016. This course is designed to help train individuals who wish to take the written tests to become a wildlife rehabilitator in Pennsylvania. Designed for individuals interested in becoming licensed wildlife rehabilitators, this series covers the knowledge and skills needed to apply for wildlife rehabilitation permits in Pennsylvania. PLUS Three On-Line Classes and FREE ACCESS to future on-line rehabilitation classes we publish. Wildlife Capture and Transport. 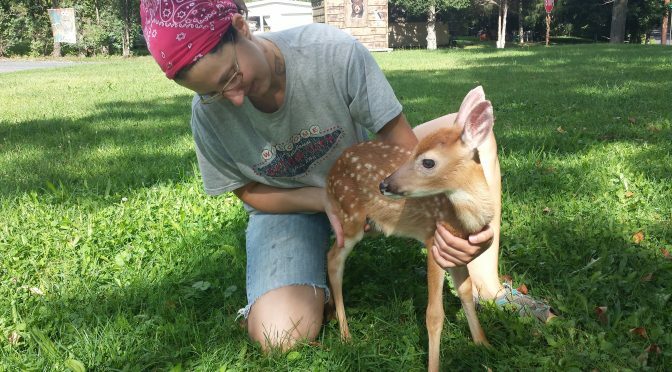 This class meets the testing requirements for those wishing to be permitted for field rescue of injured wildlife.